All Aboard the Holiday (Giving) Train - Word on the street with Visit Minot!Word on the street with Visit Minot! 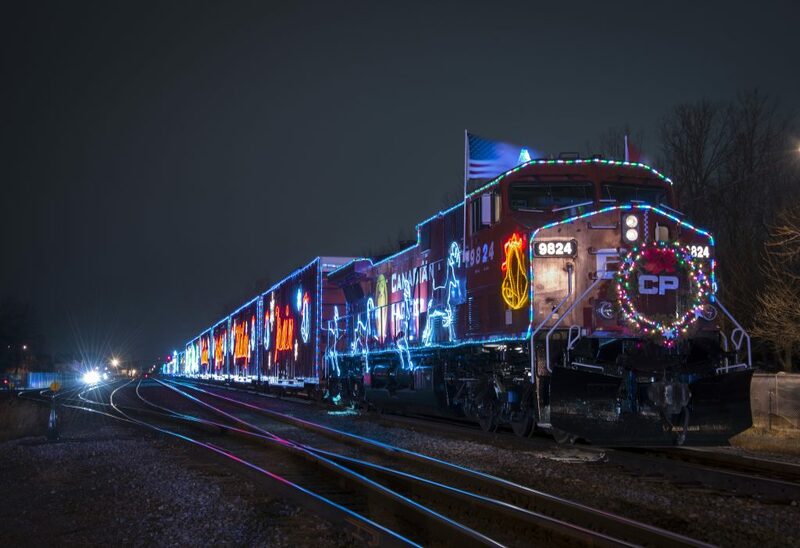 The CP Holiday Train is chugging into Minot and is the perfect way to transport into the holiday spirit. The festive train arrives on December 14 around 6:45-7:15 p.m. at Main Street Crossing in Downtown Minot. This event is free and open to the public. With the warm weather, we’ve been having this is a great year to see the train as it chugs into town. The Holiday Train is around 1,000 feet long and has 14 decked-out cars making it a truly magical sight. The thousands of LED lights that cover the train are never turned off, except for when the train passes through customs. Once the train arrives–though known to be a tad late–the side doors of one of the cars opens up to become a stage for a cheery musical performance. This year’s performers are Terri Clark, Dallas Smith, and Kelly Prescott. After the first song, a short presentation takes place with a selected local food bank and a city official after which, the show carries on. The Holiday Train is about more than just holiday spirit. Put on by Canada Pacific, dating and giving back is the true destination. Minot Area Homeless Coalition executive director Mac McLeod organizes the event and is excited about what the people of Minot can do when they come together. “When the holiday train comes in, its to raise awareness of hunger and to benefit one of the local food pantries. Food pantries get hit hard during the holiday season,” McLeod said. McLeod said the train is a wonderful thing to bring attention to their food pantries as the pantries are “hit hard” during the holiday season. At the event, there will be a donation center put on by Minot Community Foundation who will give all donations to the Lord’s Cupboard–this year’s chosen beneficiary. Acceptable donations are all non-perishable food items as well as monetary donations. There will also be a small concession stand hosted by Minot Area Homeless Coalition at the event where all items are paid for by free-will donation. Every dollar spent at the Holiday Train event goes right back into the community. Some special guests will also make an appearance when the Holiday Train arrives. Mayor Chuck Barney will be at the event as he does almost every year. Santa will also be there and will be available for photos. 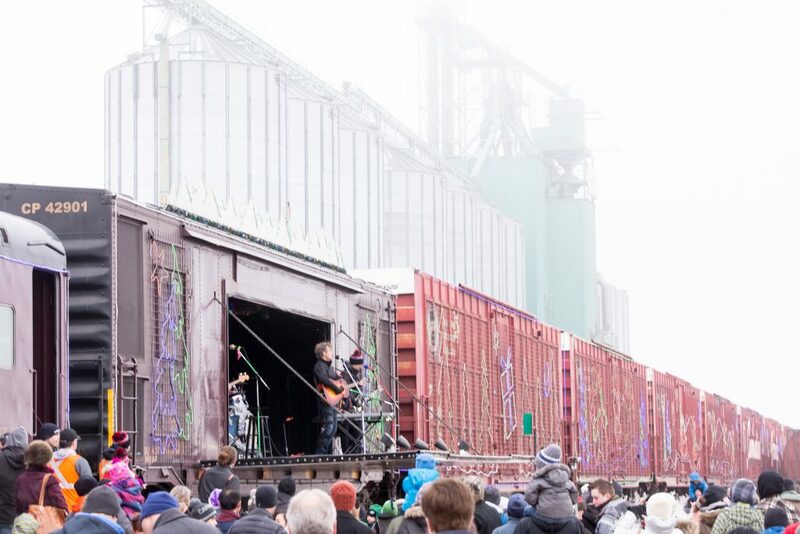 Since their start in 1999, the CP Holiday Train has raised more than $13 million CAD and $4 million pounds of food for North American food banks. Let’s keep the donating train going and see the magical Holiday Train this year. For more information on the Holiday Train, visit their website at http://www.cpr.ca/holiday-train/united-states. 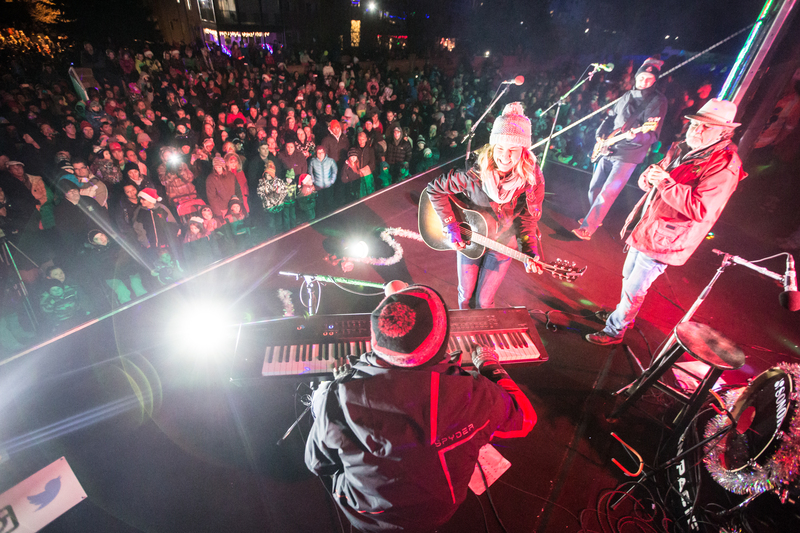 Follow the train on twitter @CPHolidayTrain and find them on Facebook at facebook.com/holidaytrain. There is a lot to do in Minot this holiday season on top of the Holiday Train. Make sure to check out Sertoma Christmas in the Park light display located in Oak Park/, and the Olson family home for a light-display of a lifetime located at 1500 52nd Ave SW, Minot ND.